While living in London has plentiful upsides, more than a few of us are guilty of complaining about the unpredictable weather. Last year and the beginning of this year saw us suffering from a particular cold spell, and with the cold, wet and windy weather continuing, Heart London Magazine looked into some of the best winter appropriate clothing choices on the market. A number of us at Heart London magazine have fallen prey to cheaper boots over winter, resulting in discomfort and in some cases, our shoes literally falling apart. Not exactly ideal if you’re running through torrential rain. Understandably, if you’re looking to avoid that, Wolky’s Gila boots are a fantastic option. These fashionable ankle boots come in an array of beautiful colours, with some in polished leather and others in oiled nubuck leather. We tried out the lovely burgundy polished leather and found them to be incredible comfortable and durable with long periods of wear. The small heel and simple buckle are great additions and means that these look good with a range of outfits. Practical and stylish! The boots are leather lined with an inside zipper, and a really interesting feature is the removable footbed. Nowadays, hats are far beyond a necessity during cold weather, and are a firm fashion staple. The Napapijri Semiury bobble hat is one of those ideal hats perfect for freezing cold days but also stylish enough that you’ll be more than happy to cover up your hair! 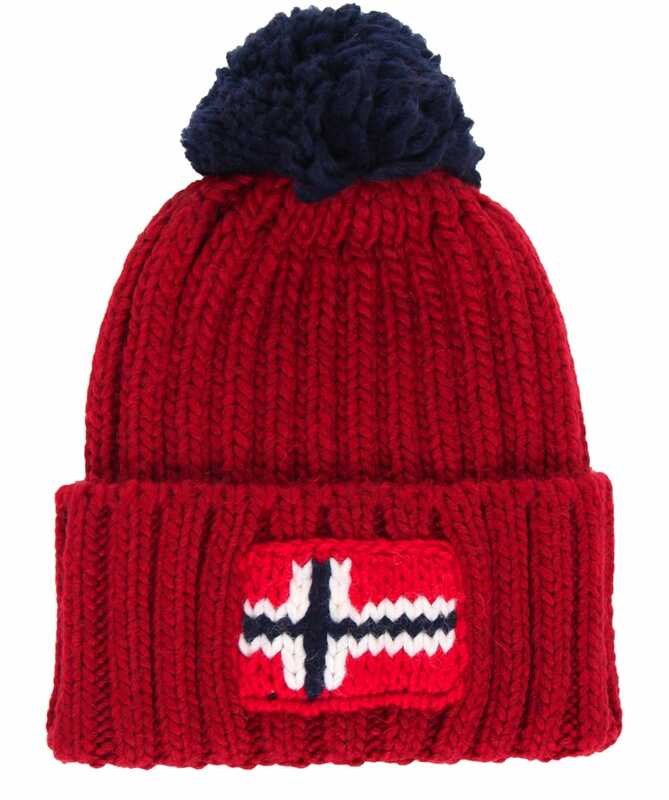 With the trademark Napapijri Norwegian flag on the front, it comes in a fantastic range of colours. We were lucky enough to wear the beautiful dark Barolo colour and loved the cosy ribbed knit and the fun pom-pom on the top. If you’re looking for a high quality hat to brave the weather in, you couldn’t get better than this one. Boots are often a cold weather staple, and Deichmann have a great selection. This includes high leg boots, ankle boots, fur trim boots and Chelsea boots. 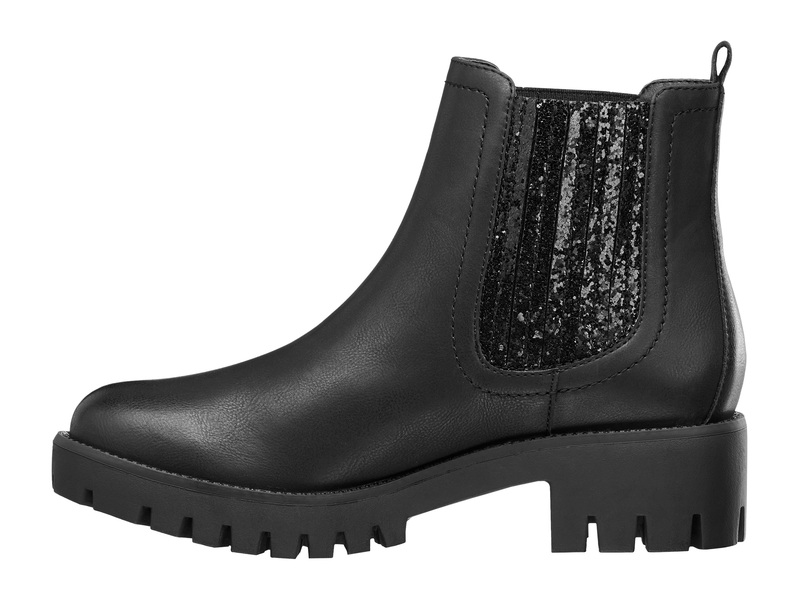 We tried out the Catwalk Black Chelsea Boots – a firm cut above most others because of their black glitter stretchy panel at the sides of the boot. This fun feature means that you can adapt these to both day and evening. However, these aren’t just fashionable, but practical as well. The heavy soles have good grip and would be ideal if you needed to be walking on snow or ice. On first wear they were incredibly comfortable and needed minimal breaking in. So for a touch of glamour in this turbulent weather, look no further than these boots. Regatta are a brilliant company for cold weather clothing, with a lot of their items well suited to country living as well as city dwellers. Styled in a classic biker jacket shape, this warm jacket is made out of soft microfleece, which we found to be incredibly warm. 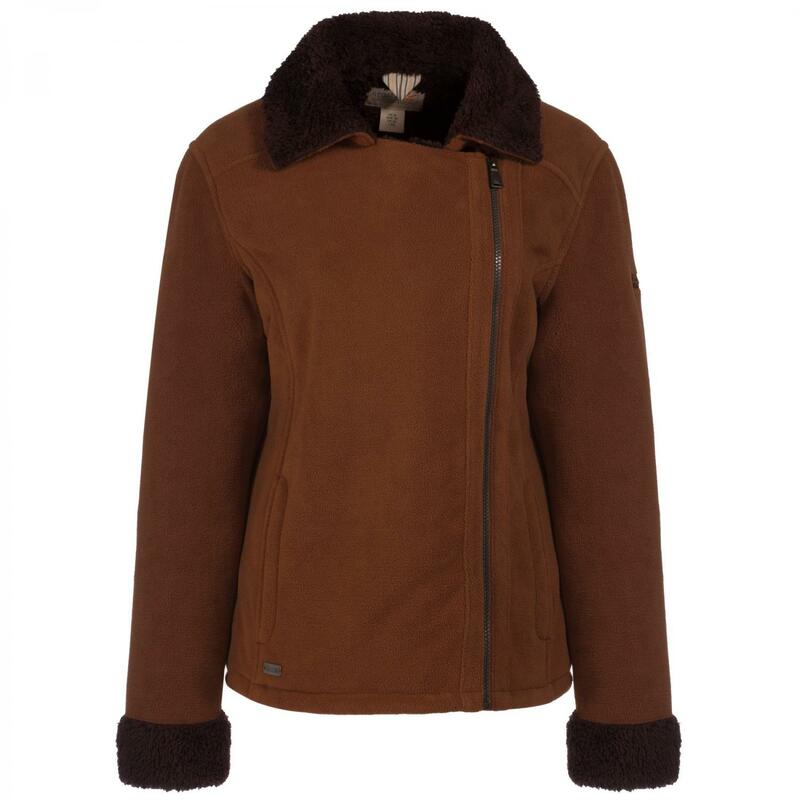 The fluffy fur trim is another nice touch and we loved the asymmetric zip fastening. It really is just like a cozy, casual biker jacket you could throw on top of any outfit to stay warm and look fab. Another lovely piece from Regatta is their Hera fleece, which you can also find in a number of different colours. 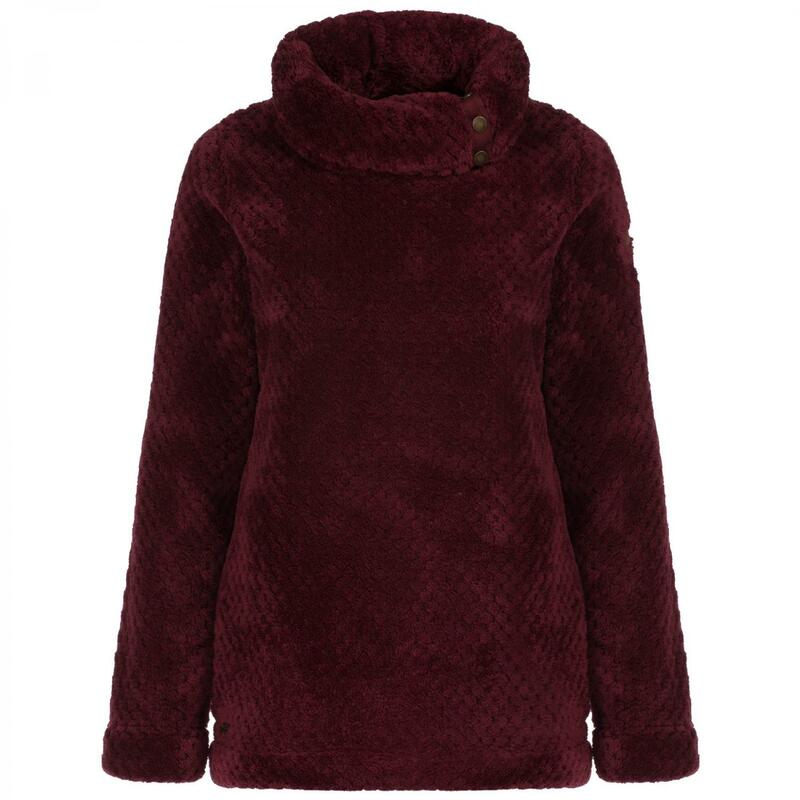 Our favourite thing about this particular fleece is how silky soft it is, almost like faux fur. The buttoned cowl neck makes it a lot more interesting than your regular jacket or jumper, and it looks luxurious enough that you could wrap up in it over evening wear. We tried out the beautiful spiced mulberry shade and it’s safe to say that bundling up for cold weather became a lot more fun when dressing up in Regatta’s stylish line. One of the biggest winter essentials are our socks, and both Patherella and HJ Wells have a huge range for you to choose from. These two companies both specialise in socks and offer fantastic colours, styles – all of which are high quality. Pantherella’s Ladies’ Knee-High Rose socks can be purchased in a number of colours including duck egg, coffee and navy, and are made from soft, warm merino wool. The smooth toe seam lends to extra comfort and the rib style is still a firm fashion favourite – rightly so. These are perfect for wearing underneath boots and with pretty much any item of clothing. 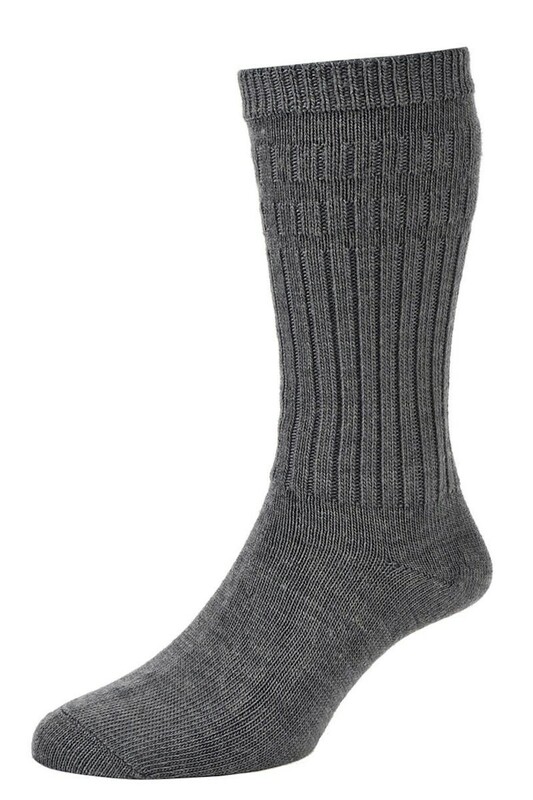 For men (with an equivalent for women, also), HJ Wells have the Thermal Softop wool rich socks. Made from 70% wool, these extra think socks are ideal for anyone who suffers with cold feet. They’re incredibly comfortable to wear, something that could be attributed to the special relaxation panels that are non-elastic but contact vertically to keep your socks up without being too tight or cutting off circulation.